Although in Portugal breakfasts are more sweet than savoury, occasionally I also enjoy having eggs, in particular sunny-side up. If you add quinoa to the equation which I love and a few vegetables and beans, you can have a healthy balanced breakfast and in this case gluten free! To make a perfect sunny-side up egg, I usually take the egg out of the fridge in advance to have it at room temperature before frying it. Then I slowly heat a pan for 3 to 4 minutes. It should be in low heat so that the pan is hot but not too much. Then I put a bit of butter in the pan and let it melt gently. Once melted I crack the egg into the pan, season with salt & pepper and spoon a bit of the butter over it to give it more flavour. If you hear the egg cooking then it means the pan is too hot and you should take it aside for a few seconds to let it cool down a bit. Finally you let the egg cook in low heat for 5 minutes and you should have a perfectly cooked sunny-side up egg. 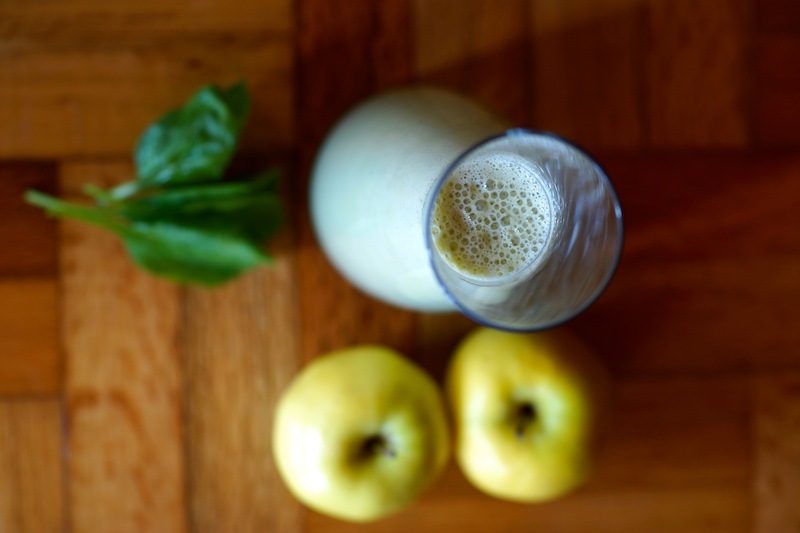 To accompany it, I chose a healthy apple spinach smoothie with soy milk and honey as a sweetener, which makes the smoothie lactose free! Spinach is a great vegetable. It helps lower the cholesterol and is great for circulation. As it contains a great amount of iron it is also perfect to help fight anemia and it will give you a boost if you are feeling weak. Hope you’ll enjoy one more healthy breakfast in the series. Boil the 2 cups of water in a pan, add the quinoa and cook according to the instruction in the package. Set aside. In the meantime, in a medium pan, heat the olive oil in low heat. Sauté the carrots and the onion until the carrots start to soften and the onion gets translucent. Add the cumin, chile powder, cilantro and the spinach. Cook until the greens start to wilt. Add the beans, parsley and the vegetable stock. Season with salt and pepper to taste. Cook until the stock is absorbed. Add the honey and vinegar and cook for one minute longer. Set aside. In a heated frying pan, slowly melt butter in low heat, add the eggs and cook for 5 minutes (see method in introduction). 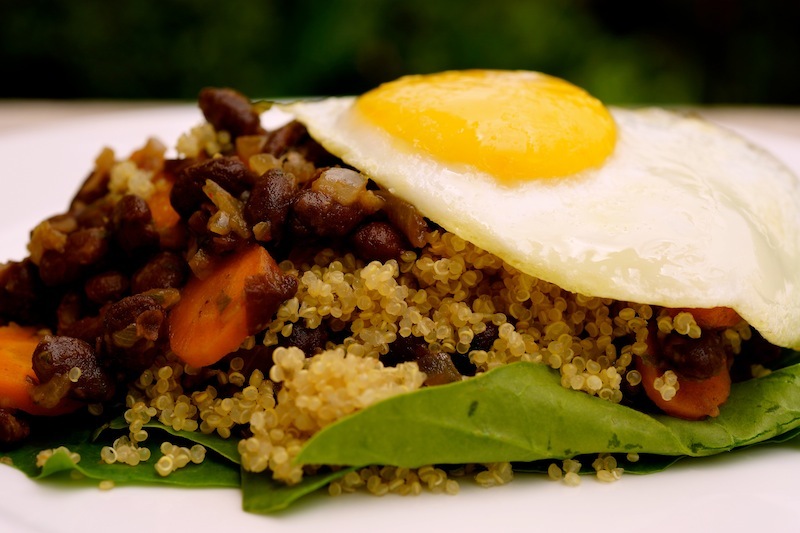 Serve the quinoa in a bed of spinach with the beans, vegetables and the sunny-side up eggs. 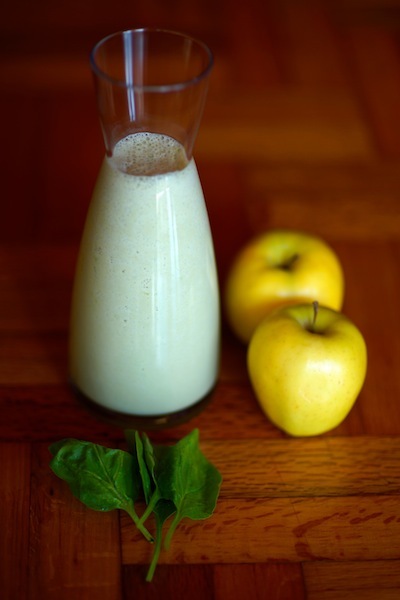 In an electric blender, blend all the ingredients until smooth and creamy. Enjoy!